A native Texan, Tamalyn Lawrence began her musical journey in Houston at the young age of five. She quickly fell in love with the piano and progressed rapidly, participating multiple years in the National Piano Guild. Flute, voice and violin were quick to follow, resulting in a childhood enveloped in music. Tamalyn Lawrence is a six summer alumni of the Interlochen Arts Center (formerly known as the National Music Camp) of Interlochen, Michigan. Studying multiple disciplines, she performed in numerous recitals, operettas, choral groups, bands and orchestras, ultimately securing placement with the world-renowned World Youth Symphony Orchestra. Her high school years brought much success in the competitive Texas UIL program in flute after winning spots in both the Texas All-State Band and Orchestra program. In addition to performing with the Houston Youth Symphony during multiple seasons, she was awarded second place in the Corpus Christi Young Artist Competition. Early teachers included Patricia Austin, Peggy Russell, Ann Fairbanks, Mary Louise Poor, Alexander Murray and Judith Carmen. Continuing her summer music education at Sewanee Summer Music Center (University of the South), Tamalyn Lawrence made her solo orchestral debut under the baton of Kirk Trevor at age seventeen. Due to ordering restrictions, she had to make a last minute change to her program, perfecting and memorizing her performance of the Ibert Flute Concerto in just two weeks. Attending Southern Methodist University as a Meadows Artistic Scholarship recipient, she experienced great success in the orchestral program, while continuing vocal and piano studies. A highlight during her collegiate career was being accepted to study with the famed Albert Tipton at the Aspen Music Festival in his final years. During her collegiate tenure at SMU and graduate school (MM) at The University of North Texas, Tamalyn Lawrence had the privilege to study with Claire Johnson, David Milnes, Robert Bush, Eldred Spell, Jacqueline Hofto, Anshel Brusilow, Kathleen Chastain and many others. 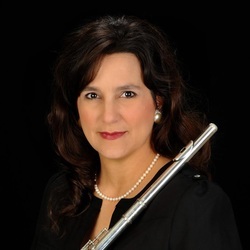 ​As a professional flutist in the Dallas area, she has experienced an active performing career. As a flutist, she has performed with the Dallas Chamber Orchestra, Dallas Opera orchestra, Garland Symphony Orchestra and the Las Colinas Symphony orchestras. Tamalyn Lawrence’s professional engagements have taken her throughout the United States and Mexico. In addition to flute, piano and vocal performances Mrs. Lawrence has dedicated herself to the field of music education for the past twenty-five years after discovering a true passion in education for working with children and adults. A faculty member at The Dallas School of Music since 1992, she has worked with students of all ages and abilities. Kindermusik certified, Tamalyn Lawrence enjoys working with students from age two to one-hundred-two, including those with special needs. It is her goal to develop a love for music, regardless of the instrument, individual needs or age, in each and every student.